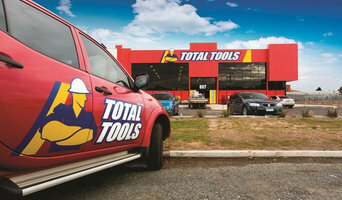 Every Tool Every Trade Total Tools has the Biggest Range of quality products in every Category! Power Tools, Welders, Compressors, Air Tools, Safety, Power Garden, Lifting Equipment, Automotive Specialty Tools, Ute Boxes, Tool Chests, Socket Sets, Electrician's Tools, Carpenter Tools, Plumbing Tools, Mechanics Tools, Ladders, Safety Platforms, Rigging Tools, Tool Belts, Materials Handling, Cleaning Products, Brooms, Concreting Tools, Bricklaying Tools, Plastering Tools, Tiling Tools, Concrete Vibrators, Trowelling Machines, Plate Compactors, Rotating Lasers, Distance Measurers. All the BIG brands - Makita , BOSCH , Hitachi , Panasonic , Dewalt , Milwaukee , FESTOOL , PROTOOL , Paslode , Senco , AIRCO , McMillan , Stanley , IRWIN , Cooper Tools , Sidchrome , STIHL , ECHO , DREMEL . Basalt Bricks, a sustainable and 100% natural stone brick and block system that replaces the conventional need for clay and concrete composite masonry units. 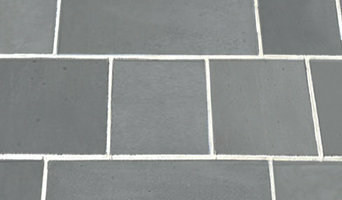 Basalt Bricks, also known as Bluestone (Victoria), provide superior performance and aesthetics. From construction inspections, to new home and pre purchase inspections and building and pest inspections, our 30 years experience coupled with guaranteed satisfaction makes us leading Melbourne building inspectors. Above Board Building Inspections are no nonsense when it comes to making sure you're completely aware before purchasing a new home. Compliant to all Australian Standards, our home inspection reports are personal and take into account your needs, we don't just tick boxes. Servicing Melbourne, Geelong, Ballarat and more, get the job done right from construction inspections through to existing house inspections and contact Above Board Building Inspections today for a free quote. In this category you’ll find companies that source and provide everything you need to build your Ballarat, Victoria home from the floor up, from timber flooring and synthetic grass to plumbing supplies and door hardware. Some companies will stock all kinds of hardware, while others will have areas of expertise. Raw materials and how they’re applied – including everything from metal roofing and timber panelling, to board-formed concrete and porcelain tiles – can provide infinite design possibilities. If you’re working with a Ballarat, Victoria builder, architect or designer, they will likely have favourite building materials they like to work with, as well as favourite suppliers. Ask them for examples of how the material has been used in past projects, and seek out alternatives for comparisons. Find building supplies in Ballarat, Victoria on Houzz. Scroll through this page to find companies that source and deliver building supplies in your area. You can browse their portfolio, read reviews and see how other tradesmen and homeowners rate their customer service, expertise and product.